Despite its lack of Dolby Vision, the Q9FN renders superb HDR and has a generally wonderful picture. The series also is a lot less expensive than it was last year. Dolby Vision, wherefore art thou? It’s that time of year again. The time when Samsung sends us its best TV, I sing its praises, then point out that it doesn’t support Dolby Vision. Huge upside, minor bummer, and ultimately a fine, fine TV. This year’s Q9F is noticeably, if not light years better than last year’s. What struck me right way were the blacks. I kept banging the TV to find an issue with the backlighting, and I found a minor one, but it’s still the best full-array type I’ve seen. If Samsung keeps this up, OLED could soon be rendered moot. But that day is not here. 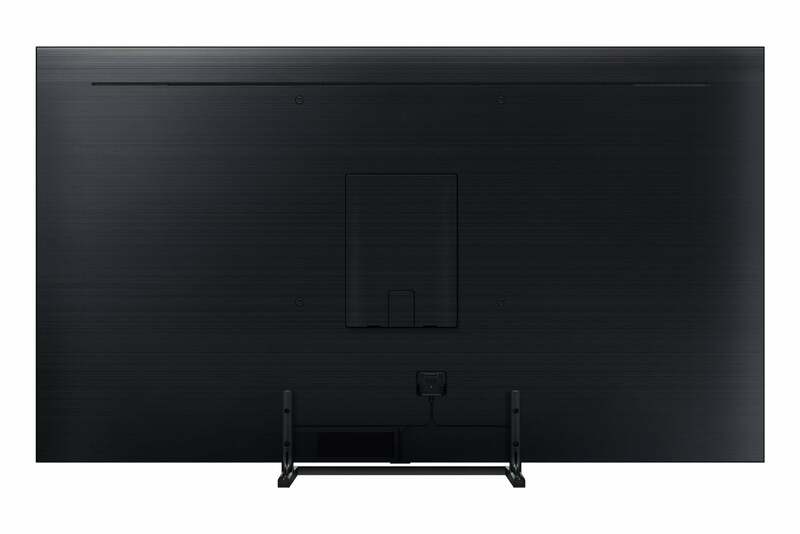 Samsung sent us the 64.5-inch (65-inch class) QN65Q9F, which the company designates as bezel-less, and it is: the frame doesn’t cover any part of the display glass. But there is still a frame, about 0.19 inches thick. Frame-less, I’d consider a big deal. Bezel-less, I’m not sure if I care, though it seems to be a goal of many vendors. The panel is 3840 by 2160 resolution (4K UHD/2160p) and uses array backlighting. I asked Samsung how many zones comprised “array,” and I got the answer 10 times as many as the Q8FN. Seriously. Surfing Samsung’s badly organized TV website, I was able to discern that this basically means—a whole lot. From watching the TV, I can tell you that are way more zones than usual. I’m guessing around 500. Actually I heard someone mumble that at a trade show. After all, it is Q Zone Elite, which goes along with the TV’s Q HDR Elite, Q Contrast Elite, and Ultra Black Elite (Ultra Elite?). Yes, the world’s first elitist TV. The annoying thing is that as stupid and insulting as it all sounds, it all describes a very, very nice picture. I can razz, but then have to tip my cap. The Q9FN is as nice-looking a TV, though I’d have to give several other TVs, including Sony’s Bravia XBR A1E the nod in that department. But the Q9FN is the only one to feature a backside that’s as smooth as a baby’s. That’s because the only cable that runs to the TV itself is hidden behind pieces of the TV and stand. If you like to stare at the back of your TV, you’ll really like the Q9FN. Move along folks... Nothing to see here. There’s only one cable to the Q9FN and it’s hidden behind plastic inserts in a cable raceway. If cables offend you, the Q9FN is easy company. As of 2018, Samsung’s One Connect cabling and breakout box are now truly one connection. At least to the display itself, which is what matters most to those to whom it matters at all. All the inputs and outputs are on the breakout box, and this year the power goes there as well. All you’re left with is one skinny, transparently-coated cable leading to the TV that delivers all the signals and the power. It’s pretty cool, and though I’m still explaining what it is, I no longer need to explain that it’s not actually one connection. Huzzah Samsung. 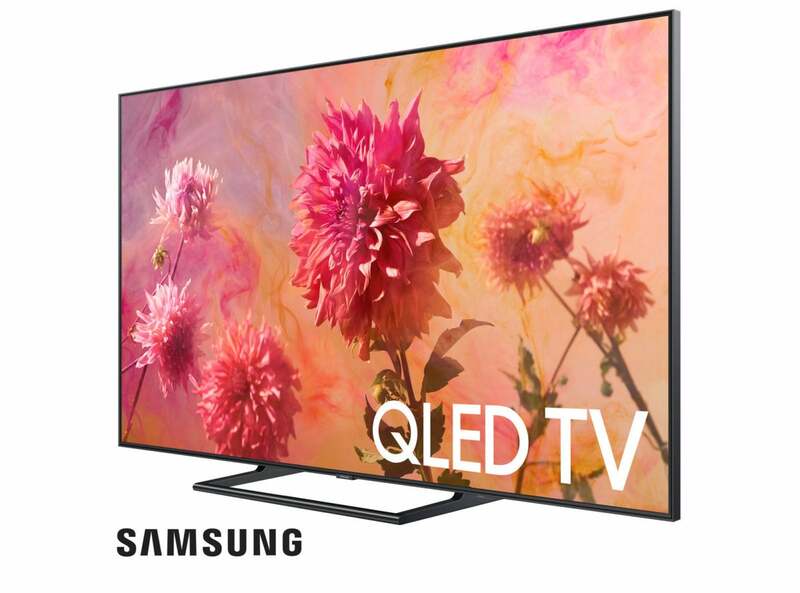 In addition to making the cables disappear, the Q series’ “ambient” mode can almost make the TV itself disappear when you’re not actively using it. Take a snapshot of the background surrounding the TV with the Samsung TV phone app, let it work a little magic, upload it to the TV and the TV will display an image the will resemble said background. Sometimes remarkably. It’s neat sleight of hand, but fair warning—HDR/4K TVs can drink voluminously of the AC, even when displaying a static image. Samsung’s onscreen interface has a nice clean look, and the Q9FN’s remote is a step up from those included with the company’s other mid- to upper-range products—silver instead of dark gray, and with a nice slide-open that exposes the battery tray. The interface and the remote are both very attractive; however, now that the aesthetics are in place, the company really needs to start working the efficiency angle. There are simply too many times when you’re forced to perform more actions than should be necessary to accomplish a task. This image depicts the Q9FN’s onscreen interface and remote, along with a poorly drawn image of its One Connect breakout box. The absence of a full set of transport controls on the remote, for example, means you must open the on-screen transport controls, and then select the appropriate action (FF, REW, etc.) before you can hit the enter button to initiate it. And every time you return to the home menu you must scroll yet again to get to the the place you were before. 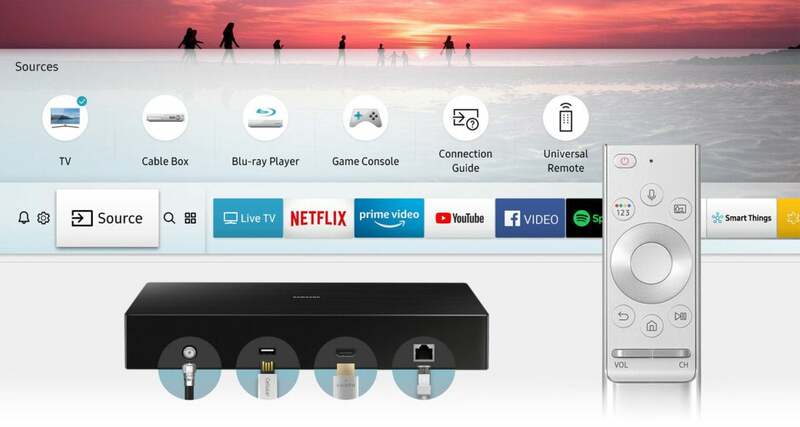 The Roku interface and remote available on entry-level TVs might not be pretty, but it’s a less tedious than Samsung’s. The Q9FN’s picture is quite likely the best LED-backlit LCD picture in the business. And in many ways—particularly brightness (1,290 nits measured vs. 2,000 claimed) and detail—its picture is better than OLED. And HDR on a QLED is something to see. As I said up top, what’s noticeably improved on the Q9FN for this year are the blacks. Most of the time, they are darn close to just that. That’s not something you can say for a lot of LED-backlit LCD TVs, especially low-end models where you’re lucky if you get a moderately dark shade of gray. Everything’s rosy with Samsung Q9FN’s picture. Aside from some minor backlighting issues anyway. And a lack of Dolby Vision support. Screen uniformity was excellent, with no noticeable cloudy or bright areas from backlight leakage. Motion artifacts, such as moiré or shimmer in pans, are rare though they still exist, depending on the material. I’ve yet to see anything better, but I am looking forward to their disappearing forever. Action sequences are as smooth, yet detailed as you’ll find. Color acuity is the best in the business thanks to the quantum dots re-emitting the light source. Other than rare pesky moiré, the only other issue I spotted on the Q9F was backlight-related. There was a noticeable lag in darkening some areas on scenes with large areas of black and a bright centered object. For instance, on a video highlighting a neon sign against the night sky, I could see the lower left below the sign start at dark gray, then after perhaps half a second, turn black. Obviously, the algorithms or processing are a bit slow, despite the Q Engine. No TV is perfect yet, but at $3500, little imperfections tend to stand out more. That said, while $3,500 is a lot of money, at least for me, this time last year the 65-inch Q9F was a whopping $6,000. It’s getting cheaper folks, partially because true high dynamic range (HDR), wide color gamut (WCG), and even 120Hz refresh rates are making their way into sub-$1,000 TVs—although not always all in the same TV. I should also mention that the Q9FN has better than average sound, with enough bass give the listening experience some depth. It’s quite clear as well. I’m guessing that if you’re forking over $3,500 for a TV, you’re going to augment the sound somehow, but if you just don’t want to switch the other stuff on, the Q9FN won’t assault you with tin-can audio. I’d rate it just bit below Sony’s Bravia XBR A1E in that regard. Yes, here I go again. 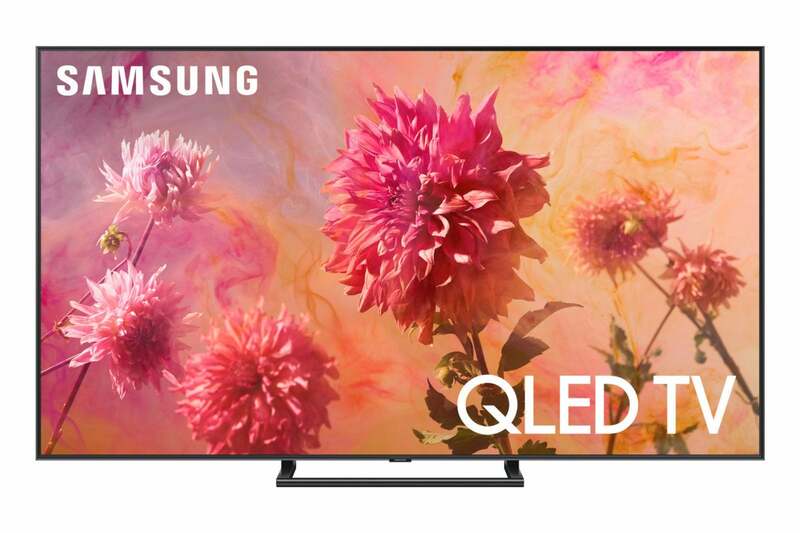 The Q9FN supports HDR10+, Samsung’s largely equal (it can alter the palette from frame to frame, but doesn’t support 12-bit color) alternative to Dolby Vision. But it’s only available in a couple of shows from Amazon. I’ve seen it, but not with the same material as Dolby Vision, so an A/B comparison is impossible at this point. The Q9FN’s older HDR10 renderings are first class, but if I’m seeing things correctly, the overall cast to videos usually seems a bit darker than with HDR10+ or Dolby Vision. I wish I could tell you more, but Samsung doesn’t even have a file or a disc mastered in HDR10+ they can send me. I find that slightly amazing, and vaguely disturbing. If I hadn’t already become acclimated to the absurdities of the TV industry, I’d omit the “vaguely” from that sentence. The sad fact remains that you can’t watch some of the best available HDR content on one of the best TVs. I’m getting tired of saying that. Really. Either get HDR10+ in gear, or fork the royalties over to Dolby. Ultra Elite. Give me a break. Still, other companies lay it on even thicker, and the plain fact of the matter is that if any TV is deserving of superlatives, the Q9FN is. It’s a terrific view, and installers and interior design folks and the terminally shape-conscious will love the way the TV can “disappear” into its surroundings. Make the interface a bit easier to navigate, throw in Dolby Vision, eliminate the back-lighting peccadillo and the Q9FN would be the best TV on the planet, bar none. The Q9FN just might be the best TV on the planet. it features the most dynamic picture in the business with great color, excellent brightness, and wonderful detail. Very granular backlighting results in blacks that are as good as they get in an LED-backlit LCD TV. On the downside, it doesn't support Dolby Vision, and the user interface can be tedious.